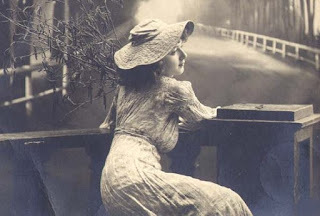 I love this picture from 1908, I hope you can use it in your craft work! 6 You don't have to win every argument. Agree to disagree. 21. Burn the candles, use the nice sheets, and wear the fancy lingerie. Don't save them for a special occasion. Today is special. 22. Over-prepare, and then go with the flow. Gwyneth introduced me to your blog its great! !